In 2019, it’s time to drive more business value from your cybersecurity investments. 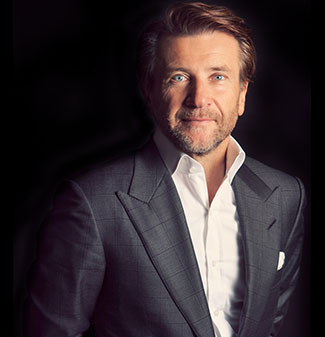 Over the last year, Herjavec Group’s message to the C-Suite has been simple: it’s time to get back to basics. With our 2018 Cybersecurity Conversations report, we highlighted the key conversations executives should be having in order to double down on compliance, cyber hygiene, and the elements of a proactive cyber defense strategy. These conversations remain integral facets to any security program and should be agenda topics in every boardroom globally – but I challenged the team to take it a step further this year for our 2019 Cyber Conversations Report. We can’t simply cover the basics and leave it at that (don’t get me wrong, you always have to cover the fundamentals). In 2019, we must mature. We have to refine our approach to cybersecurity and expect more – more protection, detection, analysis, performance. More Value. In this report, members of Herjavec Group’s executive team, including Lewie Dunsworth (EVP, Global Security Services), Ira Goldstein (SVP, Corporate Development), and Jerry Nguyen (VP, Threat Management), dive into each of the four conversations to highlight relevant trends, emerging insights and Herjavec Group’s recommendations. As you read through each section, we’ve included questions to ask yourself and your teams. Keep your focus this year. Expect more – from your teams, your partners and your organizational commitment to prioritizing cybersecurity. Here’s to a (cyber) safe 2019! Download the 2019 Cybersecurity Conversations Report from Herjavec Group.